Rockers Chromes are super fast, tough precision bearings. For the balls only Cr6 chrome steel is used, along with a glass-fibre reinforced thermoplastic PA 6.6 bearing cage. In a nutshell: These bearings are super f***ing fast and durable! 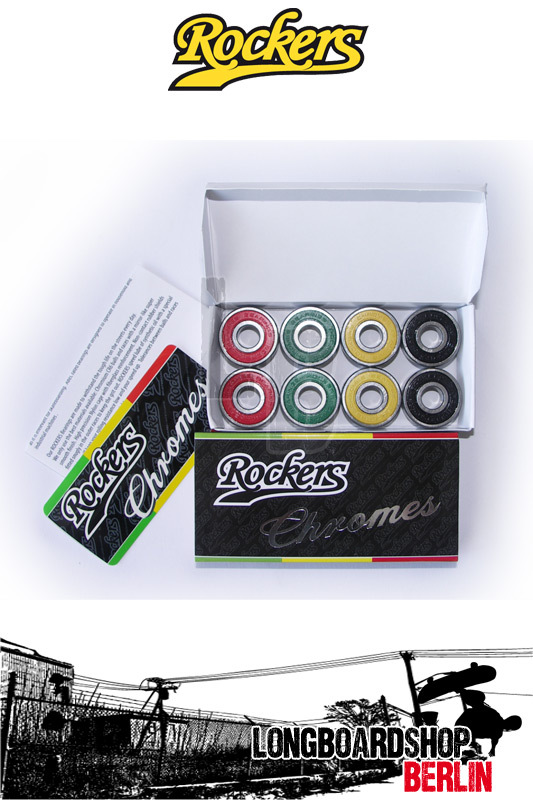 The Rasta chromes come with two red, yellow, green and black bearings.